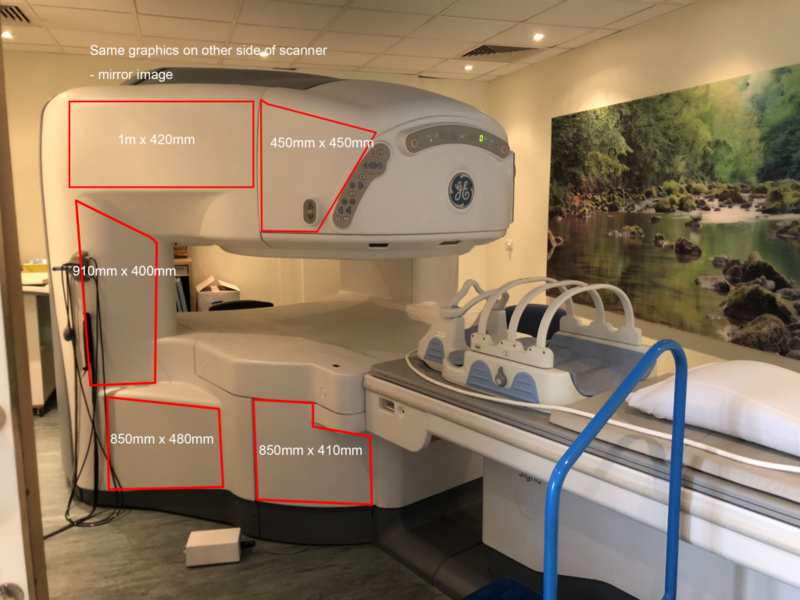 Artists: can you help us make our MRI even more patient-friendly? We recently asked the public to vote for a theme for our open MRI scanner. We wanted to select a theme that would be most enticing for our patients, so a public vote was the best way to see how patients thought we could improve the atmosphere in our MRI scanning suite. Submissions for theme ideas included everything from space to underwater to football… but one theme stood out from the rest. A garden-themed MRI scanning suite with lush flowers, budding trees, blue skies and chirping birds! Now, we’re on a mission to transform our open MRI scanner and MRI suite into a garden-themed blissful retreat that will feel comforting, natural and soothing for patients! The garden theme can come through in numerous ways. We plan to decorate the MRI scanning suite as much as possible while still following strict health and safety procedure. But one thing we’re most excited about is that we’re going to ‘wrap’ the open MRI scanner with a garden-theme decoration, and we’re now looking for local artists to submit their designs! Artists: does the garden MRI inspire you? We’re open to any style: hand-drawn garden designs or creations from a graphic design programme. The artist to design the scanner will receive a £100 gift card for M&S as well as having the option to be featured in a video unveiling our MRI garden suite! We are hoping to help budding artists or recent graduates add to their portfolio of artwork. It’s also a great opportunity to put your artistic skills to good use and help patients of all ages feel more comfortable during their MRI scan. 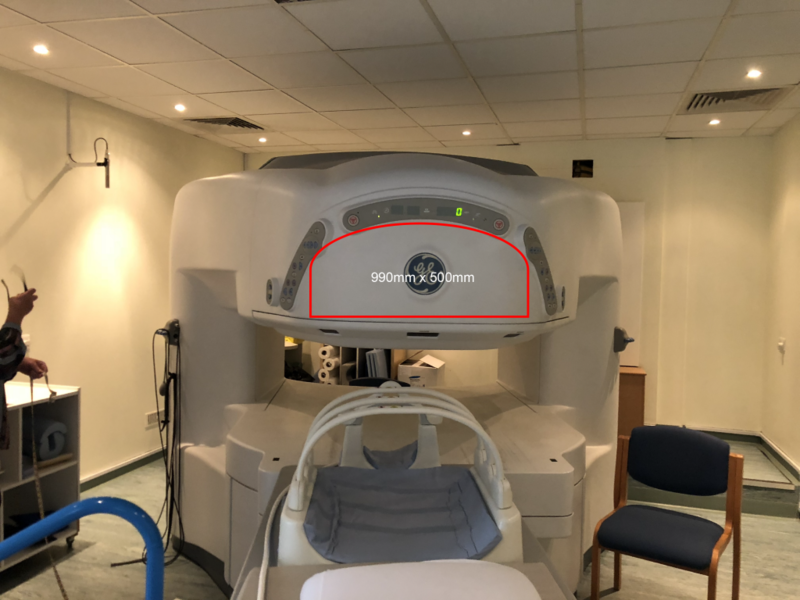 Due to health and safety restrictions and to protect the MRI, the artist’s drawings will be placed on the highlighted parts of the open MRI scanner in the photo below. We’re also looking for a submission for a new mural for the room which we’d love to feature hidden animals and creatures for the patient to look for during their MRI scan! A big thank you to Jennifer and the team from Bryte Digital who are helping to ‘wrap’ the open MRI! MRI scans: can MRI detect cancer?